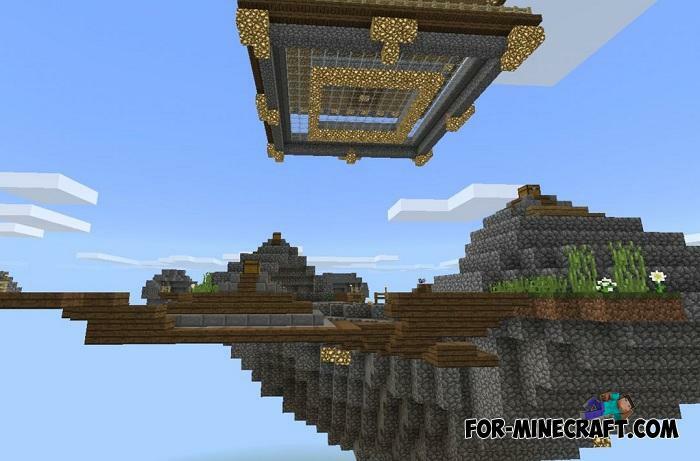 If you were not inspired to play on Prismarine Skywars, the previous map for Minecraft PE 1.11, then take a look at Advanced SkyWars. 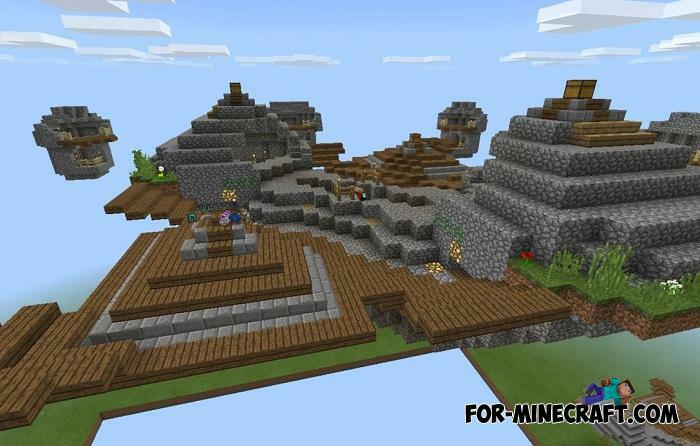 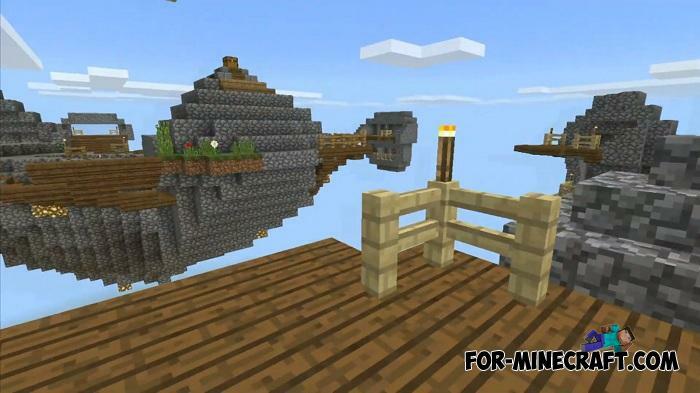 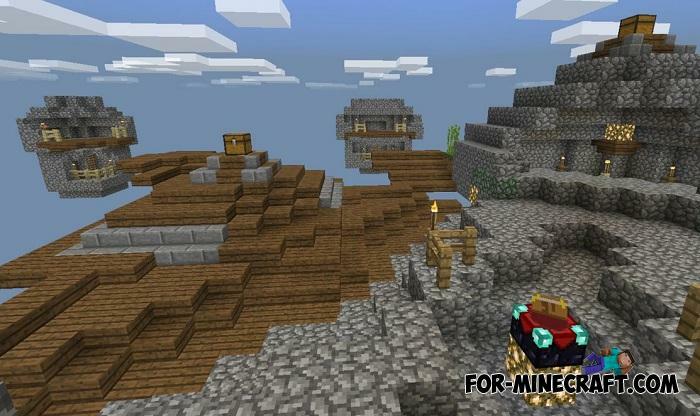 The idea of fighting on tiny islands using the objects found was invented in the first versions of Minecraft when the game community began to actively develop content and create more and more new maps. 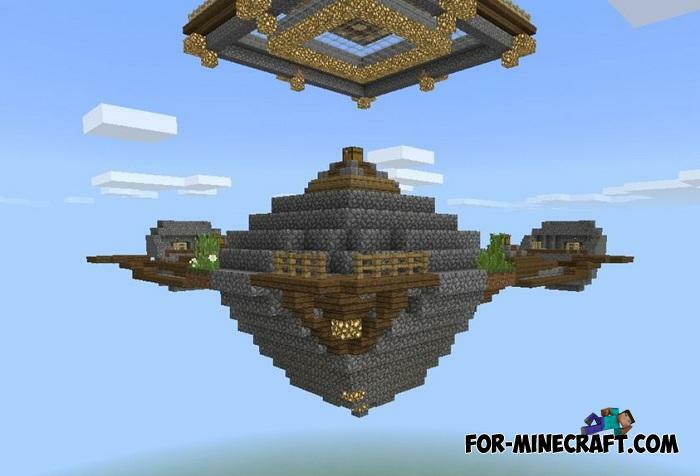 But in order to be at least slightly different from the original Skywars, the Advanced version has a large island soaring in the center. 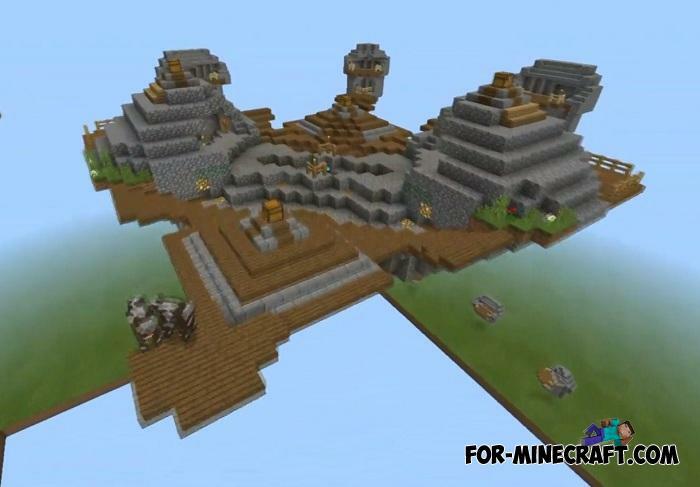 It is surrounded by tiny islands from all sides and is designed to store powerful things and good places for fights. 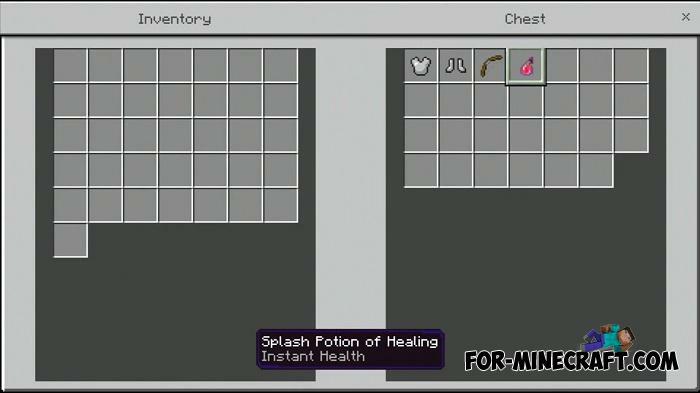 Therefore, as soon as you start the game you need to figure out how to get to it and quickly take what will make you stronger.